I was wondering if you could run a charge wire from 'Lil' Honda and use the engine's alternator to charge Scampy's battery? I've heard of people running a wire from their motorhomes to charge the battery of their toad while driving. Just a thought. I'm not a mechanic, I know just enough to get me in trouble. LOL! Uh...I think George has done that already. 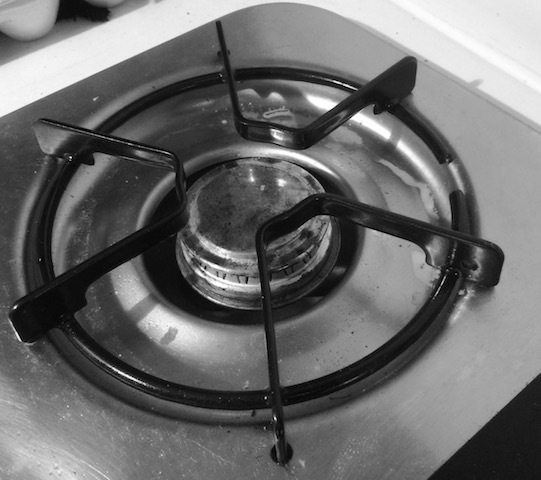 Your burner will come out if you squeeze the three elements together. At least I think it will...mine does on a similar stove. The reasoning behind a 2nd battery is, that the 1st battery will be good for maybe 5 days. Then the 2nd battery is put into service for another 5 day period. Boondocking for 10 days would be good enough! I went the Arizona Wind route in 2003. "I was into solar before it became popular." Here is a story that I wrote about my solar electric system. Installed in 2003 by myself. Click HERE to view. George had 6 deep cycle batts plus a gennie plus an extensive solar array on Ms Tioga. I think the problem he has here is limited space for all this on Scampy. And thank you for commenting to support me! The led lights make a huge difference, as for charging the batteries I would choose the generator and solar if you have the space. I am with OAT, solar and the generator when you need it. I would think there would be room to mount at least one solar panel on Scampy's roof. That would save packing and setting up a folding panel. Would you need this when stealth camping? I dont think that #1 (setting up the panel) or #2 (noise) would be conducive to stealth camping. Maybe solar mounted on scampy? Stealth Camping is only done in cities and towns. A solar panel would only be used at Boondock Camps [Out in the forests, etc.]. This waterless wash does a super job. I use that Wash and Wax and love it. As said earlier, squeeze the elements inward and remove. Reverse the process to replace. 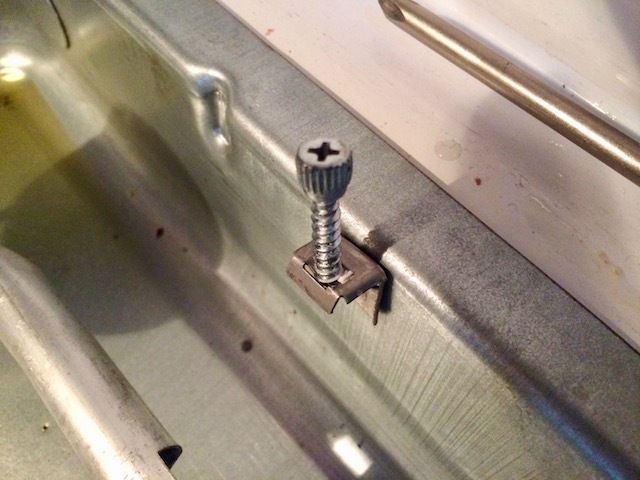 Squeezing the stove top burner together to remove, is very easy to say. But TO DO is another story. Very hard. 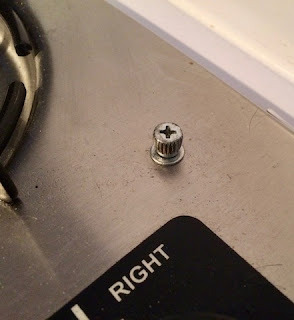 This stove top is a dumb bell enginering idea. Think about it a bit. Who is going to do that stove top removal? A woman who is cleaning house. Not some mechanic with tools. In one single minute, I am able to come up with several better alternatives. Ie; nothing holding down the stove top. Where's it going to go? Mr. Rock and Roll, that's you George. every minute of it! Such an inspiration! Well..... that's me! I was raised in a machine shop / manufacturing environment. Identifying and solving mechanical problems is in my blood. Nearly all the men in my family worked at / or owned a machine shop. I first worked at my Dad's machine shop when I was 9-years old. Maybe it's different from my Magic Chef. The black burners simply come off by the squeeze technique. 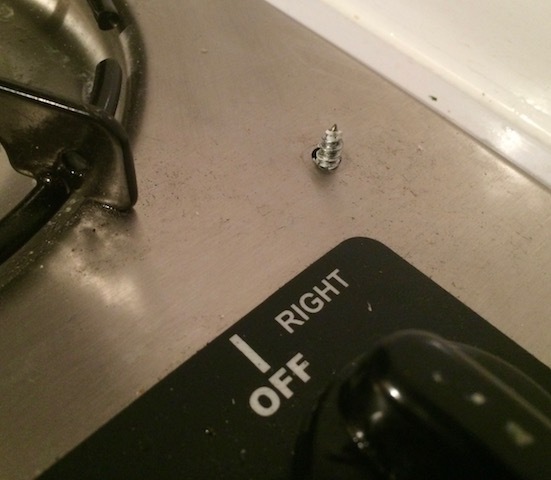 Wasn't talking about the whole stove top. I recognized that your comment concerned itself only with the black burners. 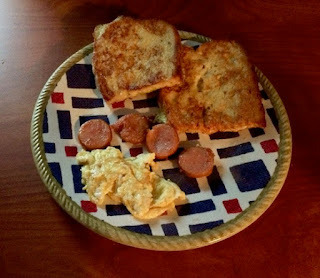 However, my Blog posts addressed problems with both the black burner and the range top. In order for me to remove the black burner, I had to use 12" long Channel Locks! Then after removal, worked to bend the two ends back so that the burner would go into the range top. Now the burner goes into the range top easily, but still holds the burner to the top. Maybe we are the idiots for buying. I know my Winnebago is not the Winnebago of a few years ago. Quality control is lacking. Way to many little things I have had to correct. For some reason that I cannot fathom, the compulsion to do an excellent job at one's work just does not appear to exist in today's work-a-day world. When I began working, quality was drummed into my head. Quality was job #1!! Today's workers, just do not give a sh*t! Bad business.